The Thirty-eighth Amendment of the Constitution (Dissolution of Marriage) Bill 2016 was approved by the Seanad last night. It provides for a referendum on proposed amendments to articles 41.3.2 and 41.3.3 of the Constitution allowing for a looser divorce regime to be implemented. If the referendum is approved, the Government will bring subsequently forward a Family Law (Divorce) (Amendment) Bill to amend section 5 of the Family Law (Divorce) Act 1996 to reduce the minimum living apart period specified in that Act to two years during the previous three years (from four years during the previous five years). Welcoming the news, Justice Minister Charlie Flanagan said: “I am pleased that the Government’s proposal has received such widespread support in the Oireachtas. The cross-party support is testament to the fact that the proposal is a reasonable and fair one. It is fundamentally a proposal to ease the burden on people whose marriages have broken down. “The current constitutional provisions mean that couples have to be separated for at least four years before they can begin divorce proceedings. 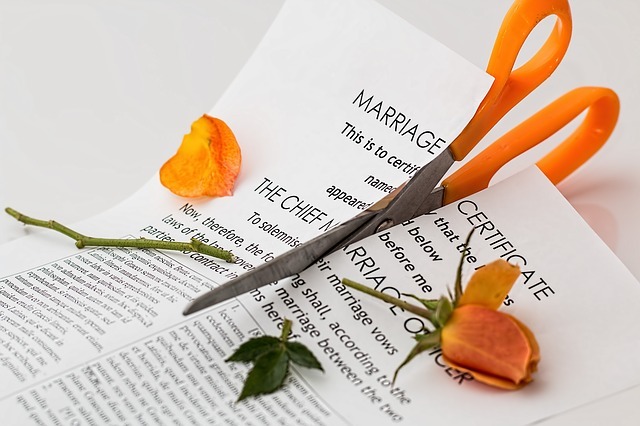 That means that, alongside the emotional trauma this engenders, many couples also go through the stress and expense of a separation agreement or judicial separation while waiting to be allowed to begin divorce proceedings. Government minister and solicitor Josepha Madigan, who originally introduced the Bill before her appointment to Cabinet, added: “I am delighted that this bill, which I introduced from the backbenches, has now been passed by both Houses of the Oireachtas. “Since the bill was passed by the Dáil last week, I have received widespread positive feedback from couples who are anxious for change and for a more humane law governing divorce. Marriage breakdown is a sad reality for some people in this country and it affects people in every county.